Again, I’m so late to the game but I love this public arts project in West Philadelphia. Artist Stephen Powers (a.k.a. ESPO) painted murals above the SEPTA line along Market Street from 63rd to 45th in a public arts project called “A Love Letter For You.” Each mural reads as a love story to West Philly from residents of the neighborhood. 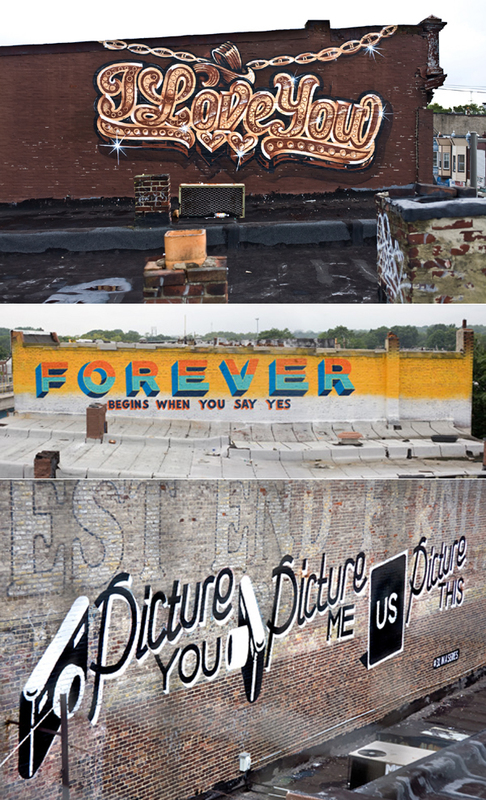 Murals from the public arts project "A Love Letter For You." Priya you just made my day… So glad you read the blog. The first one is mad gangster!